Get up-close to lions, rhinos, chimps, lemurs and lots more! Concessions ticket are valid for Disabled Visitors, seniors (60yrs+) and students (16yrs+). Please Note: Your ticket will be valid for the date selected when booking. Supporting documents to confirm entitlement will be required on admission. 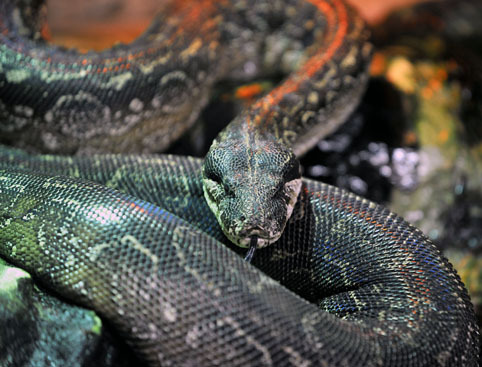 Get ready for animal adventures of epic proportions at the UK’s biggest zoo! 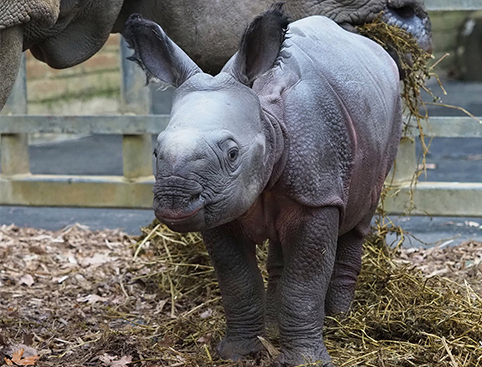 ZSL Whipsnade Zoo is home to more than 2,500 animals - many of which are endangered – with specially-designed enclosures that are carefully created to imitate their natural environments. Get closer than you imagined to the zoo’s most exciting animals with interactive and immersive habitats including Cheetah Rock, In with the Lemurs, Rhinos of Nepal and the “Chimpnasium”. You might even encounter some species roaming freely around the grounds, like the Patagonian mara, Chinese water deer, wallabies and more! A truly unforgettable experience that gives you unique views of Whipsnade’s pride of African lions. The chimps have a wonderful enclosure including an extensive indoor gymnasium so they can swing to their hearts' content! 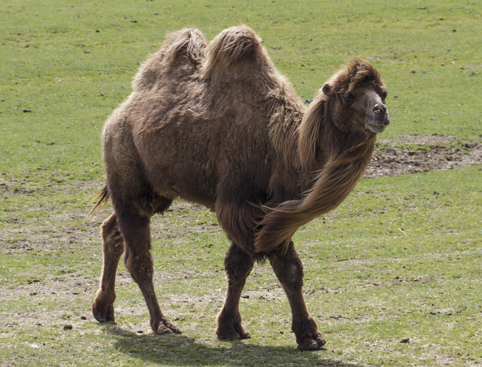 A large rolling paddock with no barriers between you and the animals; home to Bactrian camels, yak, Pere David's deer and more. You’ll be surrounded by hundreds of colourful butterflies from around the world. In one of the largest butterfly biomes of any UK zoo. Children will have the time of their lives meeting a whole host of farmyard friends in this up-close adventure. 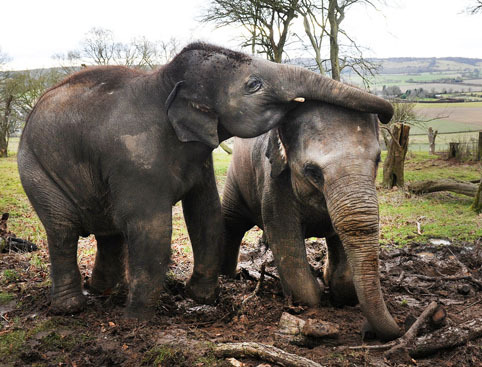 Explore ZSL Whipsnade Zoo by car! As the zoo is so large, visitors are allowed to bring their cars into the large drive-through area, ‘Passage through Asia’. There is also a free Safari Bus around the zoo, which stops off at all the main exhibits. Another fun way to see the animals is on The Jumbo Express, the steam trains which weave their way through the territories of some of the zoo’s most popular animals, like the elephants, rhinos and camels. Until 2nd September 2018 enrol in Superhero training at ZSL's Superhero Academy! Whipsnade Zoo opens at 10am. Closing times vary throughout the year. Most of the zoo is accessible for wheelchair users and those with walking difficulties. However there may be restrictions in some areas. Concessions tickets are available for students (aged 16+), seniors (aged 60+) and disabled visitors. ID and proof of entitlement will be required upon arrival at London Zoo. One essential carer per paying disabled visitor may also visit free of charge, and do not require a ticket for entrance. Please note that ZSL reserves the right to charge the applicable general admission rate to any person unable to validate their entitlement to Concession rates. A direct bus service from Luton Railway station / Interchange to ZSL Whipsnade Zoo (via Dunstable, West Street) will be available every day in the summer school holidays (Saturday 21 July – Sunday 2 September 2018). The fares for the subsidised service will be £2.50 return & £2.00 single. The 30-minute journey on the 200 bus route will drop you at the zoo at either 10.28am or 11.28am, and pick you up at 4.45pm or 5.45pm. 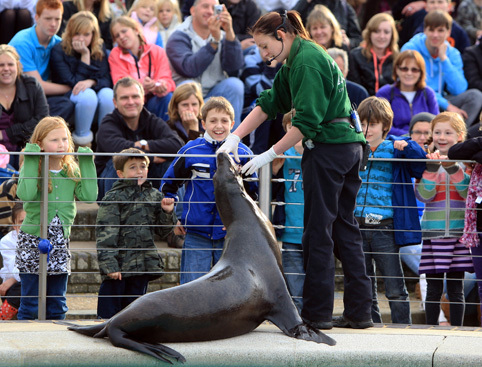 ZSL Whipsnade Zoo Tickets is rated 4.2 out of 5 by 14. Rated 5 out of 5 by Nick 4 from Wonderful day out Bought my tickets on line. Best zoo we have visited with outstanding views over the Dunstable Downs. The Bird display was exceptional. Rated 4 out of 5 by Bep from Great day out for all the family. Had a great day with my daughter and grandson. He loved the farm with the goats and we liked the train ride, shame you have to pay so much to go on it though. The bird displays were fun and of course the seal show is a must to see. The soft play area was a nice break for nannas feet, nice cold drink would have been good too. The shop is well stocked. Rated 2 out of 5 by Shaz700 from It was ok I booked a family ticket 3 kids my kids didn't enjoy it. The animals were too far. Kids were upset. Didn't see much. Over price food. So not very happy. Rated 4 out of 5 by Bossy from Expensive day out Took two grandchilden to the zoo. Not so many animals as I remember when I was younger & the cost of taking the car in at £20 prohibitive. Rated 5 out of 5 by Christopher from A brilliant day out with the grandchildren We purchased tickets on line for ourselves and our grandchildren and their parents. The arrival arrangements are much better: easier parking by monitors and the gate entrance was much quicker and far better arranged than on previous occasions we have visited. The pens, cages and parkland for species are also improving and, when the sea lions have been upgraded, all the animals will be decently housed.